Eatiful: Top Gun J&C: Wings time! With the Top Gun Gold card we got 30% off our morning dim sum which is great since Top Gun J&C is a little bit pricier than other dim sum places. 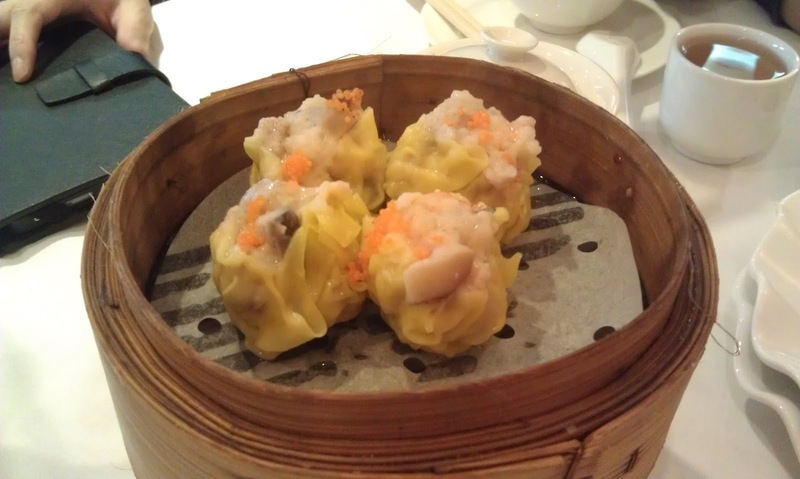 The traditional dim sum food: siu mai. These came fairly hot and the pork inside still has some texture unlike the ones that are blended into a meatball like consistency. 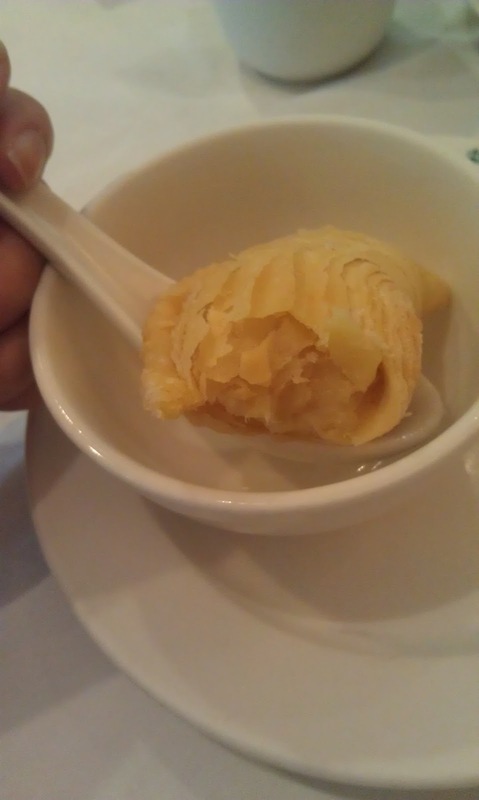 Durian pastry is not found at many dim sum places and definitely not for everyone. Personally I liked it and it came hot as well. 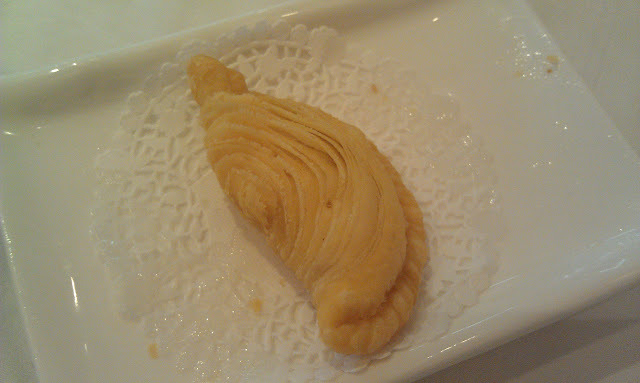 The pastry was very buttery and fluffy and the inside durian paste was gooey and slightly sweet. The durian smell was not that strong so it should not offend anyone who can't stand the scent. My favourite dish at Top Gun is this chicken wing! They sell it at Rhino Cafe (Lansdowne) too since it's owned by the same company. 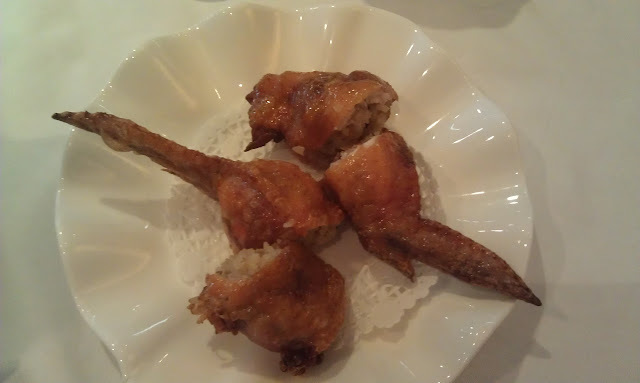 The sticky rice is stuffed inside the chicken wing and then fried. There isn't much chicken meat left but the skin is crispy and the rice is filling. It is a harder dish to make so that's probably why I haven't seen many other Chinese restaurants serve it. Overall, I will keep coming back for the chicken wings! I also like that this restaurant serves sushi cones when I want a fix of chopped scallop cone.